Figure 4. Mounting Plate and Speed Switch. stuffing tube (Figure 3, Item 8). 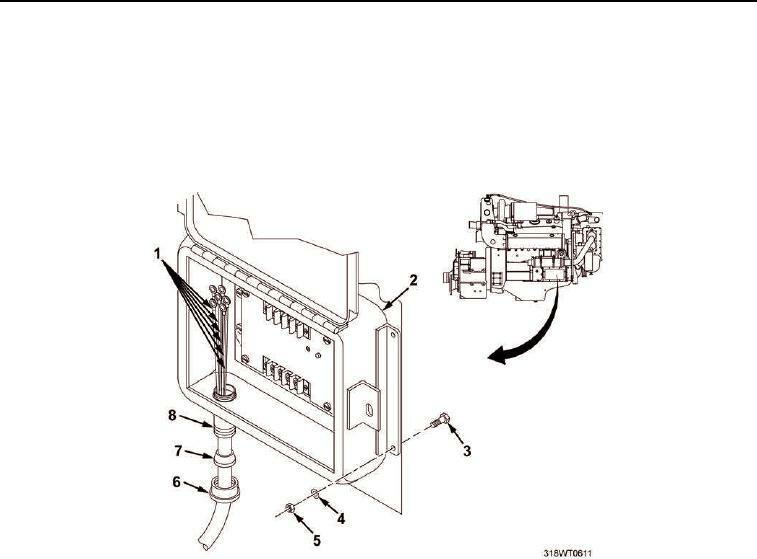 Remove wiring harness (Figure 3, Item 1) from overspeed governor box (Figure 3, Item 2). securing overspeed governor box (Figure 3, Item 2) to engine. Discard lockwashers.